Very cool. I had a similar one, a Charlie Gehringer model that I traded away years ago. The leather on that one was really dry and stiff, though. Yours looks much nicer and way more supple. Nice pickup. I'm not very knowledgeable on gloves but I found this one art a garage sale. Any ideas? Was very excited when this popped up on eBay - knew they existed due to picture from 1962 Sporting Goods Dealer - happy to add it to the collection. I thought you would be on that Sonnett stuff from ebay. I picked up this 1939 Spalding Robert Rolfe model 212 glove. I've had several wide wrist strap models in the past, either Reach or KenWel but no Spaldings. This one is in the best shape of them all. I like the lace trap web. Last edited by mikesglove on August 21st, 2018, 1:42 pm, edited 1 time in total. That's one nice, high quality glove, Mike. Love that Sonnett display piece, too, Brett. Back in the day, those eye catching displays caught my attention as much as the gloves did. I still have one by Rawlings that I love. 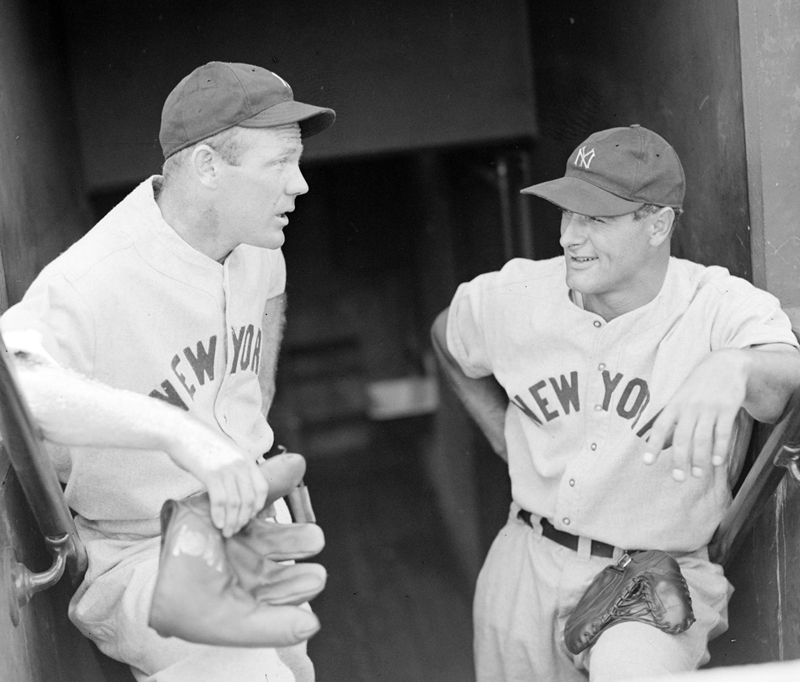 Here's an old favorite "good glove photo" of Rolfe with Lou Gehrig. Check out that cool Spalding 3-finger. The catchers mitt box was proving to be elusive - glad I could finally snag one to complete the set. Looks to be a D&M mitt. Here are some before and after shots. The crescent pad and sewn pocket needed some stitching. There looked to be some padding loss and the mitt was a little misshapen. I liked the homemade wrist protector. I had to soak the leather heel lace in conditioner to soften it up enough to unlace the heel to remove the padding, resew the crescent and re-install the padding. Nail biting time! Nice transformation, Mike! That looks great! Great job Mike! I had forgotten about that one - got that from a local picker - wish more would turn up. Thanks for the comments. That one had been in the vault for a long time. Finally got around to doing something with it.